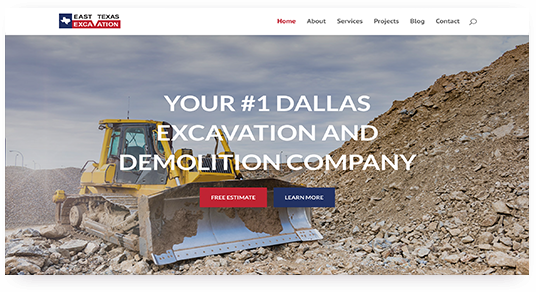 East Texas Excavation approached us in need website that showcased their growing business. We got to flex our creative muscles on this project, and really enjoyed working on it! 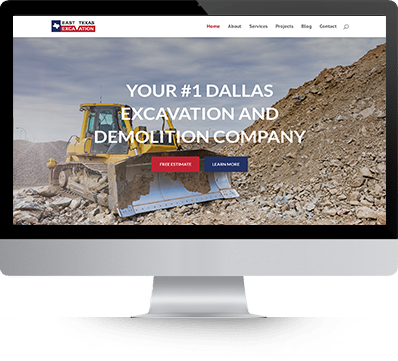 We were able to be extra creative with this site, and had a great time incorporating the client’s logo and colors (which we also designed) The end result was a website that’s both user-friendly and easy to navigate, but also modern and well-designed. We really love how everything turned out. 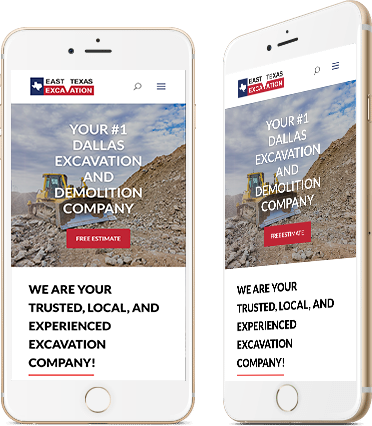 This web design project turned out great, and we really enjoyed working with East Texas Excavation. We hope that the new website will help to propel the company towards success for years to come!